We are an Orthodox congregation serving the Maplewood and South Orange communities since 1961. Since 2000, the Jewish population of the area has grown with young families attracted by the start of direct rail service from Maplewood to Penn Station that supplemented existing service to Hoboken. The completion of an Eruv in 2007 has added to the momentum. Consistent with the Orthodox principles of kiruv, Beth Ephraim welcomes Jews of all backgrounds and levels of observance. Our philosophy is to foster a warm and friendly atmosphere that will encourage all to embrace the beauty of our traditions and to encourage observance of mitzvot. Maplewood is an exciting community with beautiful tree-lined streets that blend stately older homes with classic modern architecture. Homes are available in a broad price range to suit many tastes. There is a dynamic arts scene in the town including free outdoor summer concerts, jazz festivals, theatre companies, and art shows. 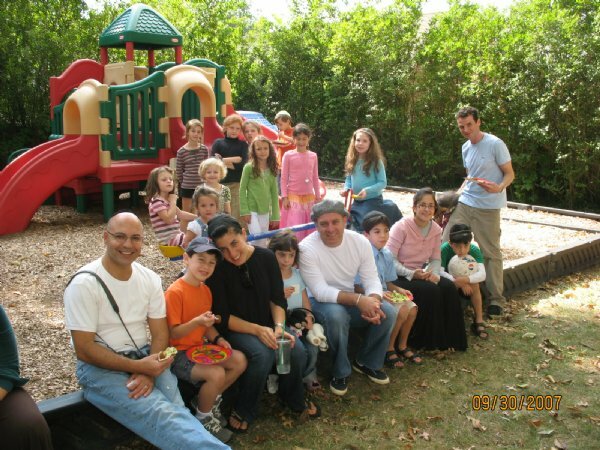 The area benefits from several Jewish Day Schools and extensive kosher shopping opportunities. We invite you to visit with us. See for yourself all that we have accomplished and learn what is planned for the future. Experience the warm atmosphere of our Congregation. To keep up on developments at Maplewood Jewish Center, follow @maplewoodjewish on Twitter!